Is it ethical to push a current political candidate's propaganda in textbooks for public education? 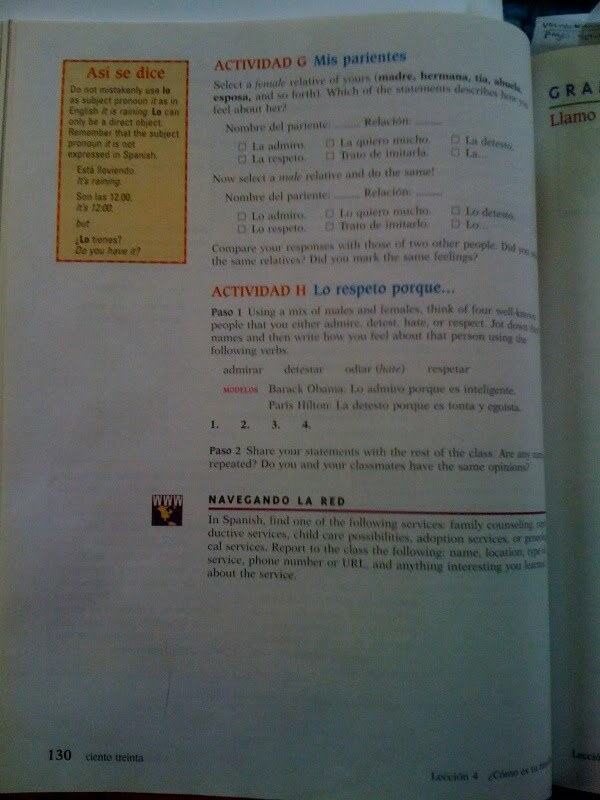 For the year 2008, before getting elected President, Obama's education propaganda can be found in many textbooks across the United States. Media reports suggest Obama's propaganda was only pushed on school children, or for those in the public education system who are not quite old enough to vote yet. But that's not exactly true, because in my very own college-level Spanish class at the University of Washington Barack Obama somehow landed his name in my textbook. I took this Spanish class during Obama's campaign year for President, at the UW. It's important to remember one thing: at that time nobody really knew much about Barack Obama, only that he was loved by liberals and a 2008 presidential candidate. With certainty, it can be said that I knew very little about Barack Obama in 2008 -- and yet, somehow, he found his way in my Spanish textbook. Before getting to the propaganda I was fed in college, let's review the current state of "Obamaganda." Political propaganda to push candidate-Obama has been documented by many sources in the news media. NewsBusters ran a story about a mother of a Racine Unified School District 8th grade student in a Wisconsin public school. The woman was outraged about a textbook provided to her child, because it is supposedly "teaching about literature," but in reality is pushing Barack Obama's memoir Dreams from my Father. Glenn Beck documented other sources of Obama's education propaganda, and how there is a concerted effort to indoctrinate your children with progressive propaganda. POLITICO reported on school districts from Maryland to Texas, which were fielding angry complaints from parents opposed to President Barack Obama’s back-to-school address. The White House says Obama’s address is a sort of pep talk for the nation’s schoolchildren. But conservative commentators have criticized Obama for trying to “indoctrinate” students to his liberal beliefs, and some parents call it an improper mix of politics and education. Apparently Obama called for students to write letters about how they can help the president. As a conservative, I can see exactly why these parents were upset. Luckily for some college students who might still be confused on who to write about for an answer to the above question, the textbook provided a model (example) which can be used as a reference. One might expect an example about families or a family member in general, because in this chapter (lesson 4), students explore the topic of families. Let's take a look at the example provided for students to learn. Modelos Barack Obama: Lo admiro porque es inteligente. Translation: "Barack Obama: I admire him because he is intelligent." So subtle, yet so very, very wrong... I'd be willing to bet at least half of the students who completed this activity wrote about the provided "model," Barack Obama. Although, most students probably twisted the words in the example, so as not to copy, and then wrote about some of the many other ways they adore "The One." I can think of a thousand or more reasons why the provided "model" in this activity is unethical education propaganda, and why the authors of this textbook should be reprimanded for pushing a political candidate during the 2008 presidential campaigns. So, who are the authors of this textbook? Bill VanPatten, who was, until recently, "Professor of Spanish and Second Language Acquisition at the University of Illinois at Chicago." James F. Lee, who is a series editor for the McGraw-Hill Second Language Professional Series with Bill VanPatten. Terry L. Ballman, a Professor of Spanish and founding faculty member and coordinator of Spanish/Languages at California State University, Channel Islands. Andrew P. Farley, who received his Ph.D in Second Language Acquisition and Teacher Education (SLATE) from the University of Illinois at Urbana-Champaign. Without jumping to conclusions, I'd just like to point out that two of the authors have ties to Chicago, Illinois. They have direct ties to the home state of Barack Obama. Is this a coincidence, and discrete but harmless case of political propaganda pushing Obama? You decide. Makes sense. Like in 1984, change history and you can control millions.